FRAMINGHAM, Mass., October 26, 2017 – Worldwide spending on mobility solutions is forecast to reach $1.72 trillion in 2021, according to the recently updated Worldwide Semiannual Mobility Spending Guide from International Data Corporation (IDC). 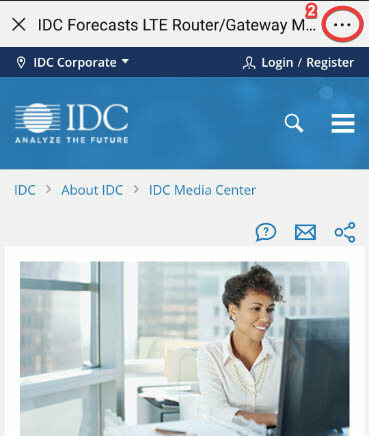 Although annual growth is expected to slow over the 2016-2021 forecast period, IDC still expects spending on mobility-related hardware, software, and services to see a five-year compound annual growth rate (CAGR) of 2.7%. Worldwide mobility spending will total $1.58 trillion in 2017, an increase of 4.3% over 2016. The United States will account for nearly one quarter of all mobility spending throughout the forecast, making it the largest geographic market at nearly $392 billion in 2021. Mainland China will be the second largest country in terms of overall spending ($337 billion in 2021), followed by Japan, Brazil, and the UK. The countries that will see the fastest growth in mobility spending over the five-year forecast period will be Venezuela (8.2% CAGR), India (8.0% CAGR), Philippines (7.0% CAGR) and Peru (6.7% CAGR). In contrast, four countries (Australia, Israel, Saudi Arabia, and Taiwan) are forecast to experience a slight decline in mobility spending. Consumers will provide more than 70% of total mobility spending for all but the last year of the forecast. Most of this spending will go toward mobile connectivity services and smartphones. In addition to being the largest source of spending, the consumer sector will also experience the slowest growth with a five-year CAGR of 1.3%. Banking and professional services will be the two industries with the largest mobility spending over the forecast period, reaching $55.1 billion and $54.9 billion in 2021, respectively. Discrete manufacturing and retail will be close behind with 2021 outlays of $49.7 billion and $45.7 billion. The industries with the fastest growth in mobility spending will be professional services (7.5% CAGR), construction (7.1% CAGR), and telecommunications (7.0% CAGR). Four other industries (federal/central government, healthcare, retail, and security and investment services) will also outpace the overall market, each with a 6.9% CAGR. "A highly mobile, on-the-go workforce is a key driver of mobility in both the professional services and construction industries," said Jessica Goepfert, program director, Customer Insights and Analysis. "User expectations are high within professional services, as they depend on mobile solutions to enable and create exceptional and memorable client interactions and experiences. In construction, which is typically slow to change, we are seeing mobility implementations with the goal of streamlining project administration. In every industry, mobility can provide an advantage over slower-moving competitors by helping firms to complete jobs faster, more efficiently, and with fewer errors." The largest technology category will be mobility services, which will account for roughly 60% of all mobility spending throughout the forecast. While mobile connectivity services will be the largest spending segment at $950 billion in 2021, enterprise mobile services will be one of the fastest growing segments with a 15.3% CAGR. Hardware will be the second largest technology category, led by smartphone purchases. Despite being the smallest category, software represents an important area of investment for enterprises and each of its technology segments (enterprise mobility management, mobile application development platforms, mobile enterprise applications, and mobile enterprise security) will experience double-digit growth throughout the forecast. 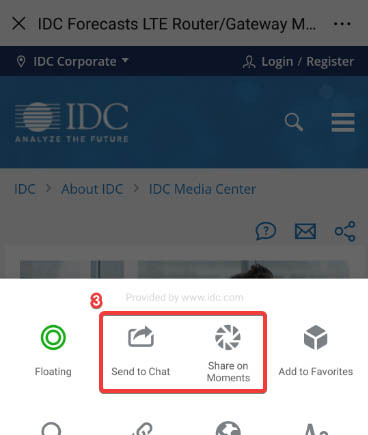 "Successful mobilization strategies demand thoughtful integration to broad digitalization strategies and technologies," said Denise Lund, research director, Enterprise Mobility at IDC. 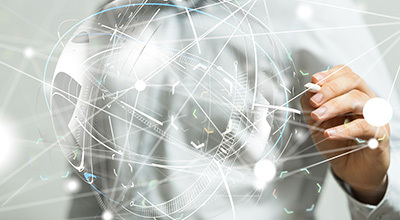 "This means every IT buyer should prioritize vendor solutions that deliver foundational yet flexible and scalable connectivity, security, and device and application management platforms and services. With these qualities, the leverage of today's and tomorrow's innovative cloud services will be possible." From a company size perspective, small offices with 1 to 9 employees will account for roughly three quarters of all mobility spending worldwide as these businesses purchase mobile devices, connectivity services, and mobility services as an affordable alternative to traditional IT solutions. Very large businesses (1000+ employees) and large businesses (500-999 employees) will deliver the fastest spending growth with five-year CAGRs of 7.8% and 6.9%, respectively. IDC's Worldwide Semiannual Mobility Spending Guide is designed to address the needs of technology organizations assessing the mobile opportunity by country, industry, and company size perspective. The spending guide provides subscribers with spending data on ten technology categories across 19 industries, five company size bands, and 53 countries. Unlike any other research in the industry, the comprehensive spending guide can help IT decision makers to clearly understand the industry-specific scope and direction of mobility spending today and over the next five years.